Google Apps Management: BetterCloud FlashPanel Catching On? Top Google Apps Authorized Resellers apparently have found an easier way to manage Google Apps. Indeed, a dozen of Google’s top Google Apps resellers have joined the BetterCloud Preferred Partners program. 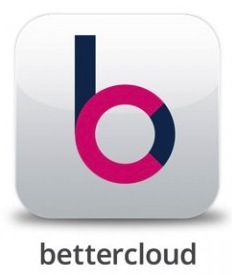 BetterCloud develops FlashPanel, an IT management application for Google Apps administrators. According to BetterCloud: FlashPanel, which is available for free via the Google Apps Marketplace, has been installed on over 300,000 Google Apps seats since its private beta launch in May. Meanwhile, a dozen top Google Apps resellers — including several of the world’s top 100 cloud services providers — use or reselling FlashPanel. Early adopters, according to BetterCloud, include DoIT!, Master Concept, SIOS, ViWo, L Tech, SheepDog, Excel Micro, Cloud Sherpas, Cloud Technology Solutions, Orion Solutions, Cumulus Global and Damson Cloud. Talkin’ Cloud’s big question: Instead of simply reselling BetterCloud into customer environments, will channel partners also use BetterCloud FlashPanel to manage customers’ Google Apps environments.